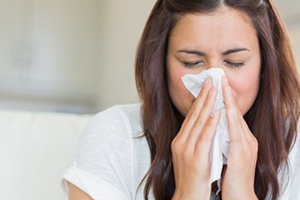 The initial step in the treatment of an allergy is an accurate diagnosis by an Alexandria allergist or immunologist. It involves deciding whether the patient’s symptoms are caused by an allergy and, if so, determining what triggers the allergy as accurately as possible. The resulting diagnosis will target the appropriate treatment or clinical intervention to allow avoidance of the allergic trigger which will help to eliminate or minimize symptoms. This approach is often part of an individual’s emergency self-treatment plan for acute attacks such as for acute tongue swelling or anaphylaxis that can result from insect bites. With all the allergens present in Louisiana, having rescue medications handy is a must for any allergy patient in the Alexandria. By administering an allergen under the tongue (sublingual), an allergist or immunologist can try to reintroduce a patient’s immunological tolerance to a particular allergen. This method is typically used to treat allergies caused by pollen rhinitis, venom, asthma and cat allergy. On occasion, the use of drugs to desensitize a patient to a particular allergen can also be used.